When David and Shirley Pirlott filed a federal labor complaint against Teamsters Local 75 on Nov. 8, 1989, the day before the Berlin Wall fell, they did not imagine they would have to wait 30 years to resolve the dispute. 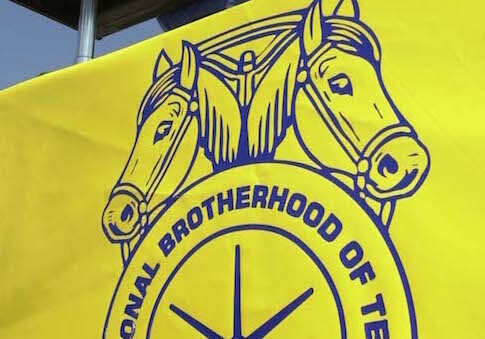 The Pirlotts were finally vindicated in March 2018 when the Wisconsin-based Teamsters local mailed them separate checks of about $3,000 for failing to allow them to opt out of union dues. The case spanned five presidencies, dozens of National Labor Relations Board members, and numerous appearances before the D.C. Court of Appeals. In the time it took for the NLRB to issue its decision, the Pirlotts welcomed six grandchildren and four great grandchildren to the world, and Local 75 no longer existed having merged into Local 662. The Pirlotts are a patient couple. Shirley, 73, was a union steward when she met David, 63, at Schreiber Foods. She soured on the union, and after the Supreme Court established "Beck rights" in 1988 (Communications Workers of America v. Beck), which allowed union members to contribute only to representative activities while opting out of political activities, the couple attempted to withdraw from the union. Over the past 30 years numerous courts and federal agencies have adapted to the post-Beck world, but in 1989 unions had little practice in explaining to their members how dues money was spent. Local 75 sent over a one-page notice with few details and zero justifications about how agency fees were broken down. The Pirlotts filed a complaint about the lack of transparency. "I was a steward and was sitting in on meetings and saw how badly they lied to the people about the company," said Shirley. "That's when I soured on the union." Neither Local 75 officials nor Local 662 returned request for comment. The Pirlotts sought out a lawyer locally to defend their right to withdraw but could not find one to take the case. That's when they turned to the National Right to Work Legal Defense Foundation to fight the union's handling of the withdrawal petition. The foundation handed the case to Glenn Taubman, who was just six years removed from law school. "It was one of the first Beck enforcement cases, which shows just how much of a political hot potato the board viewed these cases at the time," Taubman said. The Beck precedent is now settled law. Unions must provide detailed expense sheets to prove that agency fees are only being used for employee-related activities, such as contract negotiation and grievance cases. Agency fee payers have become commonplace among the workforce represented by labor organizations, but this was not common when the Pirlotts brought their case before the NLRB. The union treated the couple as pariahs. Mrs. Pirlott said her co-workers began turning their backs on her at the cafeteria. She paid them no mind until the threats began coming in at home and at the workplace. "One of the people on my crew who I thought was my best friend threatened to break my kneecaps," she said. "I did start carrying a gun in my glove compartment … a little Ruger pistol, 9 millimeter." The gun was only meant for parking lot altercations. She felt safe as long as she was with David. "He was a scrapper," she told the Washington Free Beacon. "Only a little bit," he said. The ill feelings subsided quickly, which Shirley attributed to her indifference to the threats—her friends and colleagues went back to being her friends and colleagues with the help of her pistol and husband's reputation for protecting his wife. "It didn't take long before they saw it didn't intimidate us, so they stopped trying," she said. "I had known some of these guys for 20 years before the union told them not to be friends with us anymore." Their day-to-day ordeal subsided quickly, but their case wended through federal bureaucracy for three decades. The Pirlotts' attorneys twice had to petition the D.C. Circuit Court of Appeals to force the NLRB to pick the case back up after lengthy delays. Taxpayers footed the bill for tens of thousands of dollars in legal fees to make up for the years-long inattention to the complaint. The NLRB declined to comment on the case, nor did it answer questions about its handling of the case. Taubman admires the Pirlotts for their patience in the intervening years. He has represented workers in hundreds of Beck rights cases before the NLRB in the intervening years and is at a loss as to why it took until the Trump administration to deliver a final judgment. "It became lethargy on everyone's part," Taubman said. "No one wanted to deal with it, so they just kicked it over to someone else." The NLRB officially closed the case on May 30, bringing an end to America's longest unfair labor practice case. The Pirlotts have had 30 years to figure out what to do with the money they lost to dues. "We'll donate some back to Right to Work [Foundation] because they were so good about helping us and the rest is going to go back to the savings account," said Shirley. "It wasn't ever about the money—it was about beating the union. The win is the best part." Update June 18, 9:13 a.m.: This post has been updated to correct the year the complaint against Teamsters Local 75 was filed. This entry was posted in Issues and tagged Big Labor, NLRB, Teamsters. Bookmark the permalink.